Ian has more than twenty years experience in developing real-time and embedded software, including consultancy and project management, which continue to be his main technical roles at Pebble Bay. Ian”s focus on attention to detail, combined with the determination to achieve efficient and practical results, has guided the evolution of Pebble Bay”s processes and infrastructure which underpin the running of each project we carry out. Ian holds an MEng in Chemical Engineering from Cambridge University, having achieved first class honours. His early career included development of software for large-scale process control systems and for high-speed packaging systems – in the latter role he designed an innovative approach to implementing software “gearboxes”, allowing multiple DC servomotors to replace mechanical cogs and cams, resulting in lighter, more flexible and less complex machines. 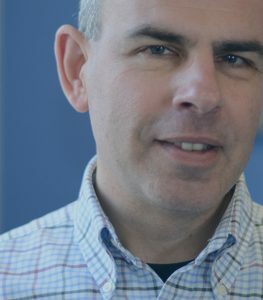 Ian joined Real-Time Products (RTP) in 1990 when it was a three-person company, and had a fundamental role in RTP”s growth until its sale to Telelogic in 2000 at which point Ian was Principal Engineer, being responsible for many of the engineering and pre-sale processes used by the company as well undertaking and managing development projects. While at RTP Ian designed and developed a complete implementation of the SCSI II protocol for Wind River”s VxWorks RTOS, which is still shipped today as part of Wind River”s standard product. From RTP Ian moved to Wind River in 2000 as the Professional Services Manager for the UK region. While in this role Ian contributed several innovations to the processes used by the global Wind River Services team as well as chairing their software engineering working group. Ian”s skills as a project manager were developed by running various challenging projects, including one completed successfully for a major aerospace company, for which the project team was distributed over several countries. Having been co-founder of Pebble Bay in 2005, Ian continues to manage and deliver projects for customers in the industrial, defence, and consumer equipment industries and provides consultancy and training on various aspects of embedded software development.